Gatwick Girl: Thanks everyone for logging your attendance. Putting this one to bed now! To celebrate Geocaching Village Halls Week, please join me outside Forest Row Village Hall for my first caching event!! I'm sure there'll be plenty of muggles about but they won't take any notice of us, honest! If you haven't already found my nearby cache, GC7NV09, #188 in the Village Hall Series by Geojaxx, this can be done at the same time. 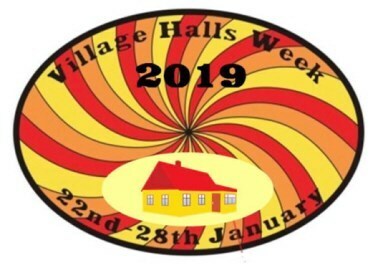 If you attend a village hall event or find a village hall series cache between 22nd-28th January you can add a badge to your profile and your name will be entered into the stats produced for the 2019 event. See website for details and the link to copy and paste on your profile. See the bookmark list for all the caches in the series. Disclaimer - As the geocache owner, I ensure that this links to a local geocaching group that is active in the community and contributing to geocaching in positive ways. This link has not been checked by Geocaching HQ or by the reviewer.